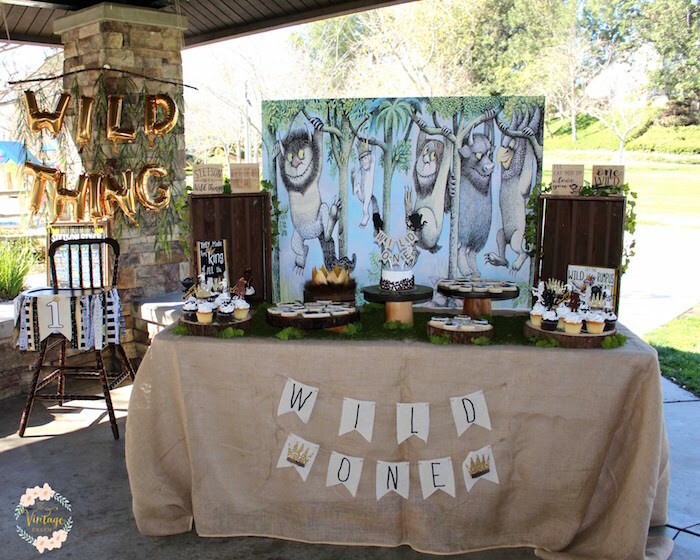 Rustic decor, cupcakes and teepees this “Where the Wild Things Are” Birthday Party by Tiffany Hayter of OC Vintage Charm, out of Mission Viejo, CA, USA , is as cute as can be! 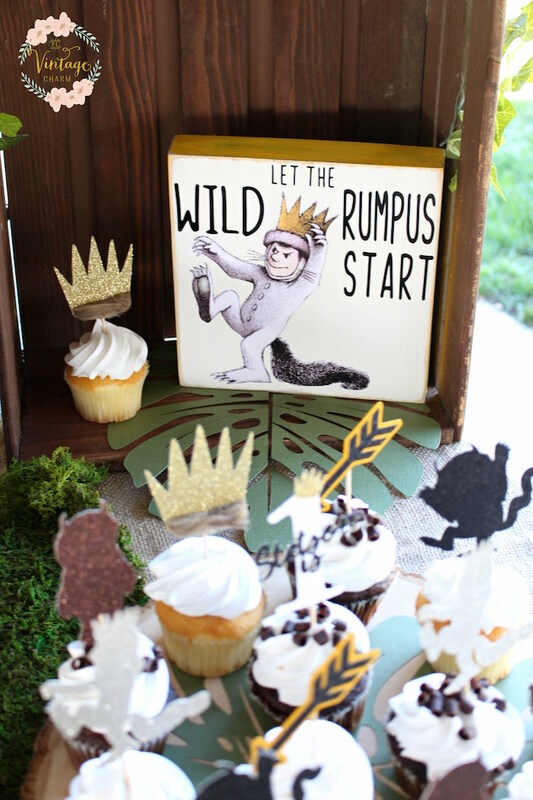 Rumpusing about with details so wild, this birthday bash could be a perfect theme for any child! 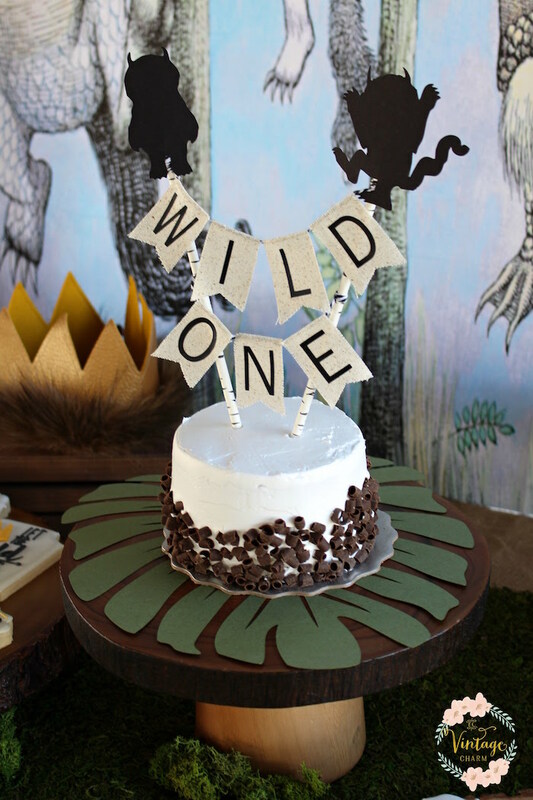 “When your BFF asks you to help create a Where the Wild Things Are 1st birthday party for her little guy you of course say YES!! 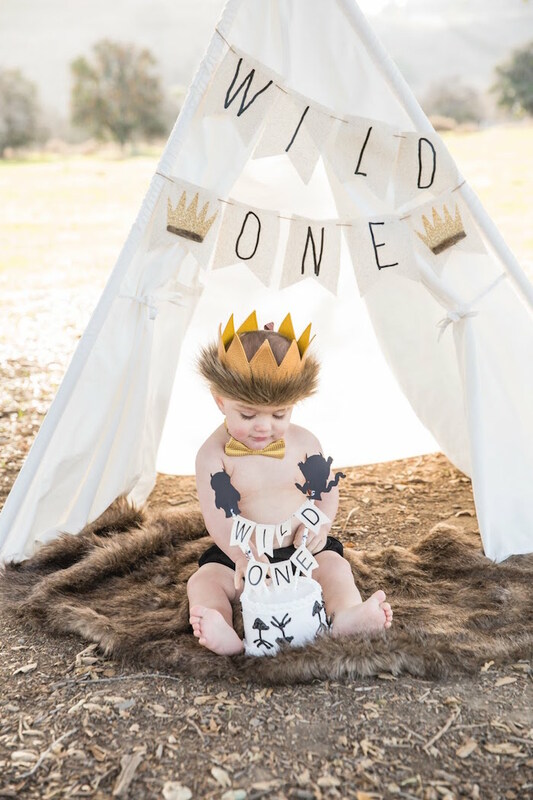 She has always loved this book and her little guy is definitely a wild one so the themed fit perfectly for them. 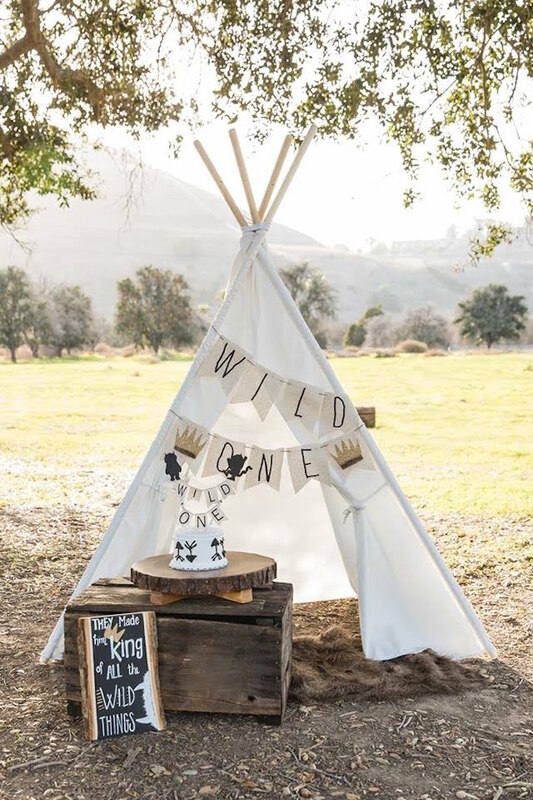 I create custom party décor and LOVE DIY projects so I told her to shoot me over some ideas she pinned and we would go from there. My mind went WILD! 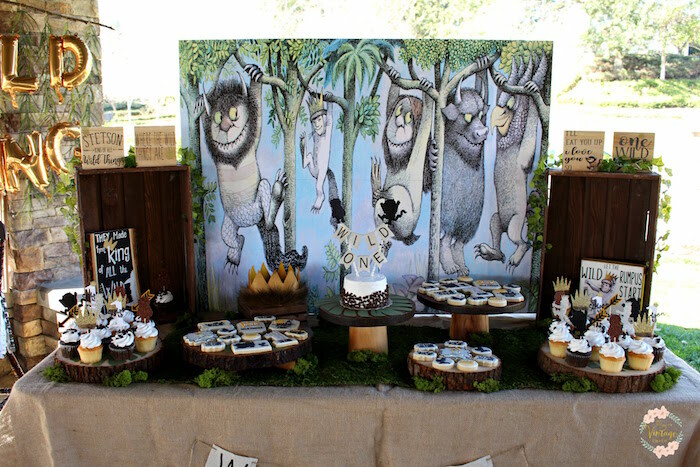 First thought that came to mind was we have to create an amazing backdrop for the dessert table to set the scene. 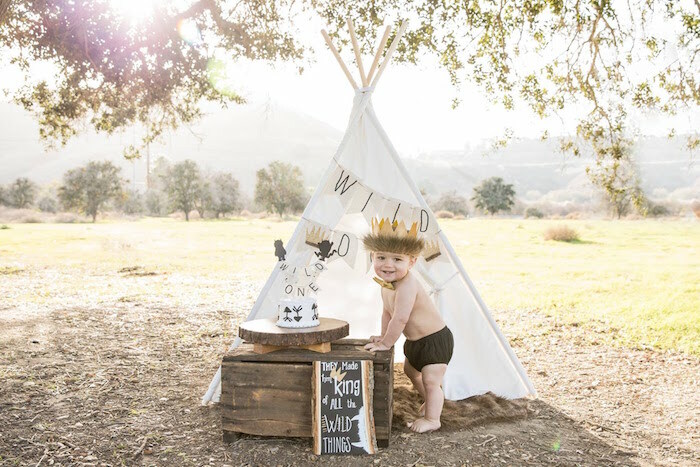 I started working in Cricut Design Space so I could use my Cricut machine to help accomplish this task. 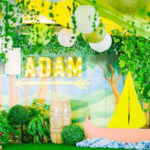 I completed a 36×48 backdrop made completely out of card stock paper and a folding project board. Next up was fabric! 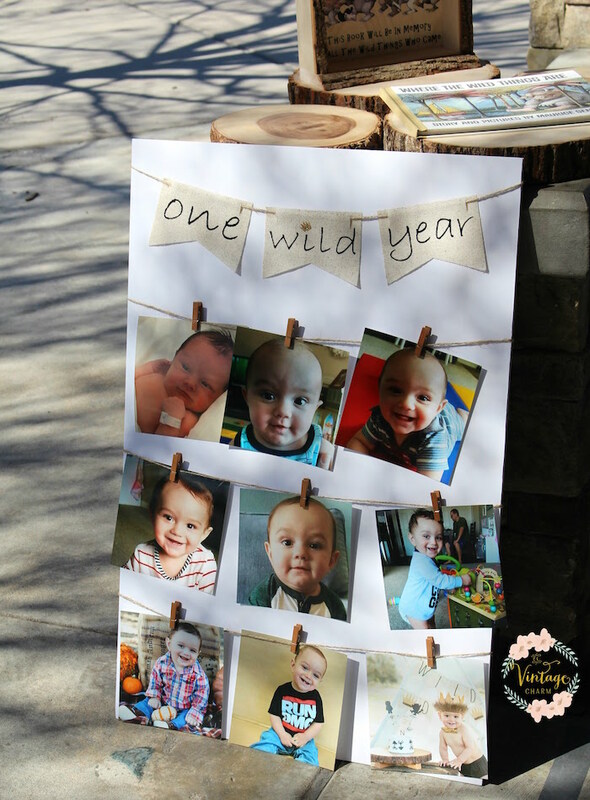 I created an adorable high chair banner, cake topper, Wild One banner and banner for her sons first year photo board. 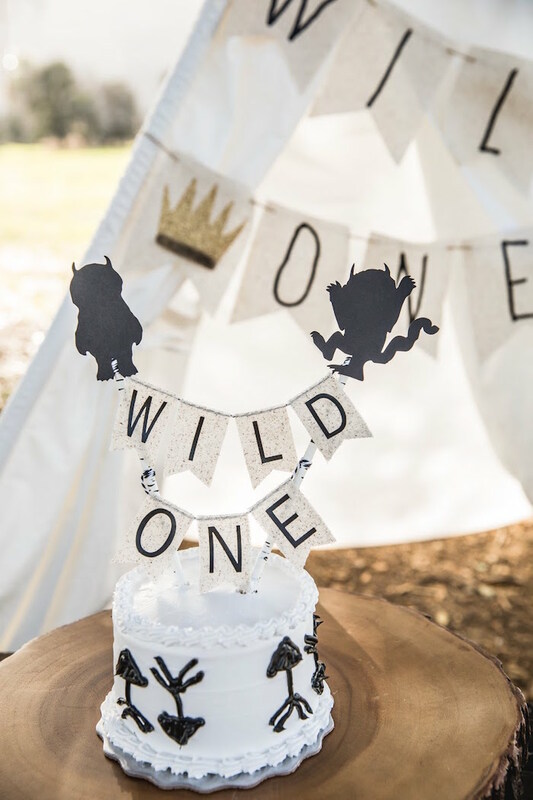 I used muslin speckled fabric for all the pennants, cut out all the words and crowns with my Cricut machine on HTV (heat transfer vinyl) and used my Cricut Easy Press to adhere them to the fabric. 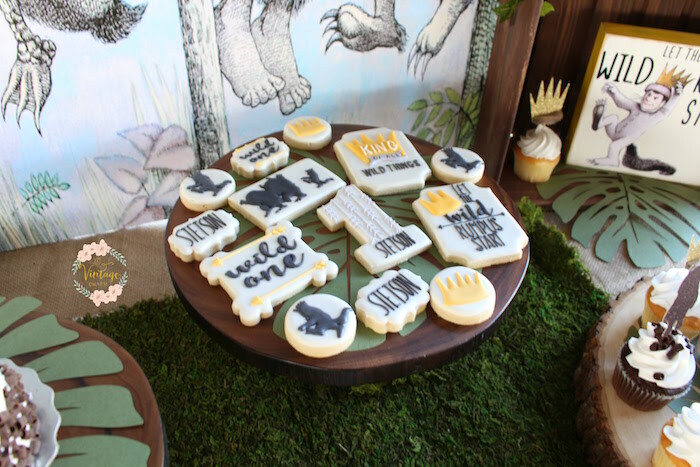 Im a bit of a Cricut fanatic if you havent been able to tell so far. 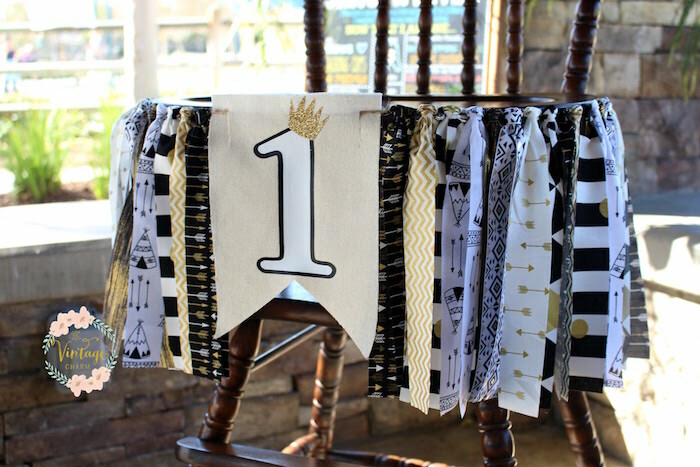 As for the high chair banner strips I cut them with my Cricut Maker but you could easily hand cut them with a rotary cutter. SO glitter was a MUST. 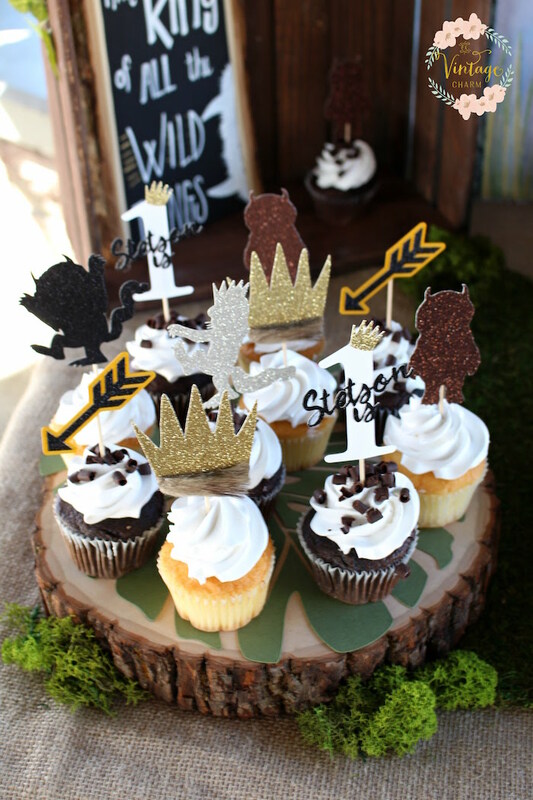 I cut out some cute monsters from the book, Max (the main character), arrows, crowns with fur attached and number 1s with crowns and the birthday boys name for cupcake toppers. 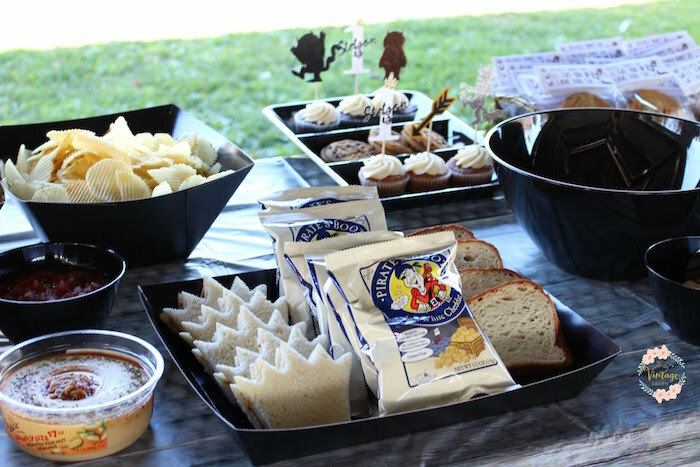 They were perfect! 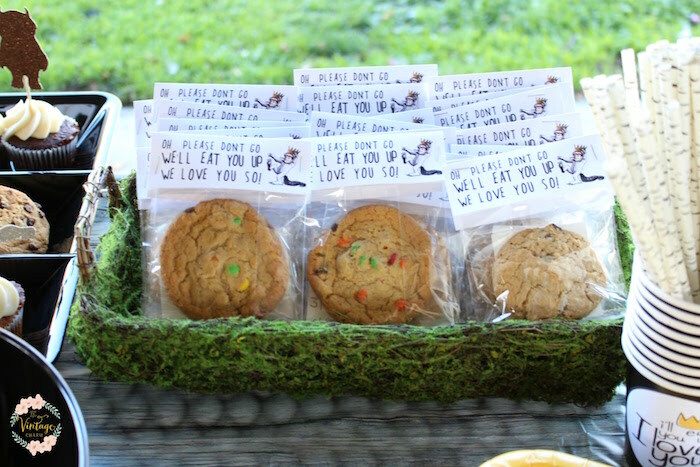 My girlfriend had pinned some signage that was just printed out and in plain old frames. 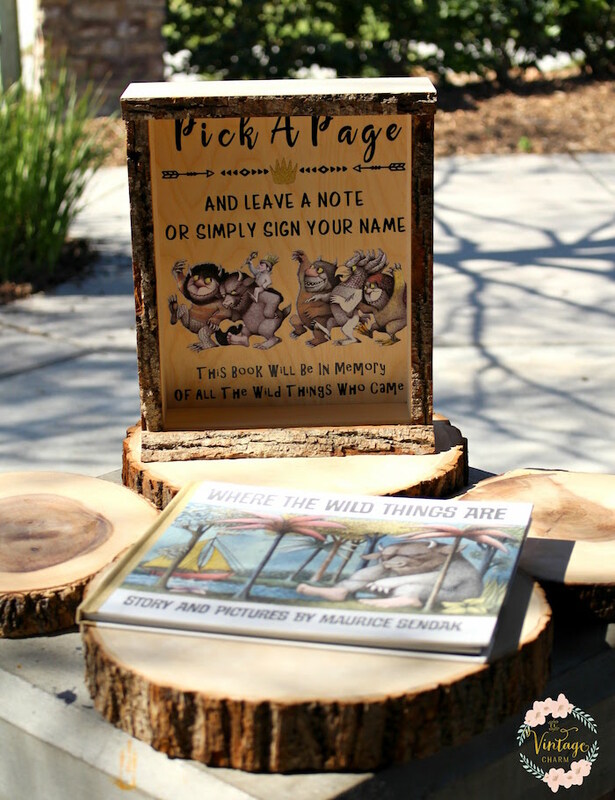 I couldnt see that as part of the display so we found some wood shadow boxes on clearance at Joanns and I used those instead. 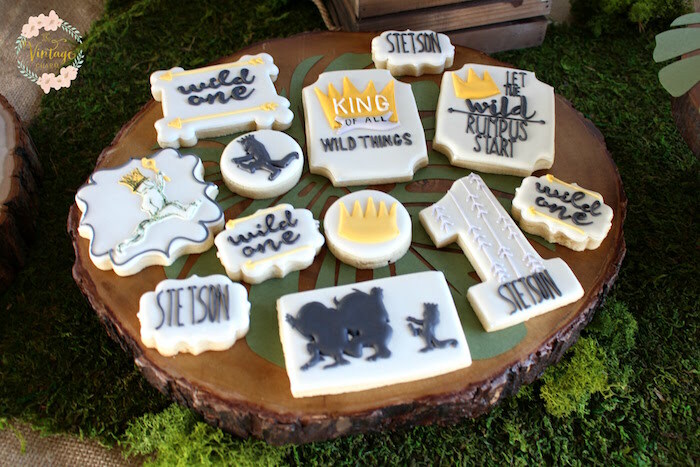 I created a sign for her keepsake quest book and for the food. 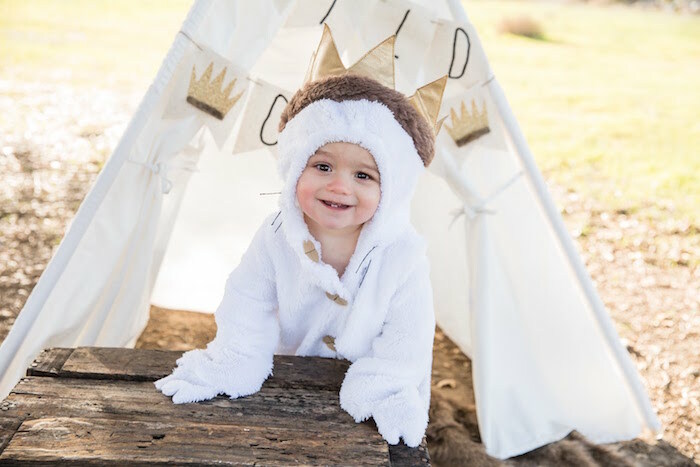 They were adorable and so easy to make. 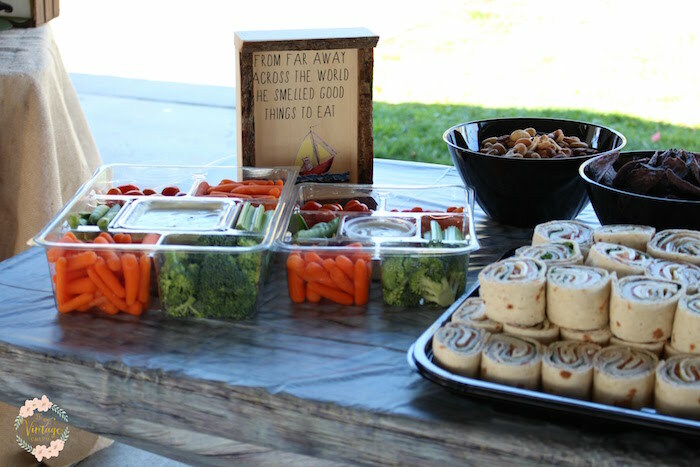 All it took was some standard vinyl and printable vinyl. 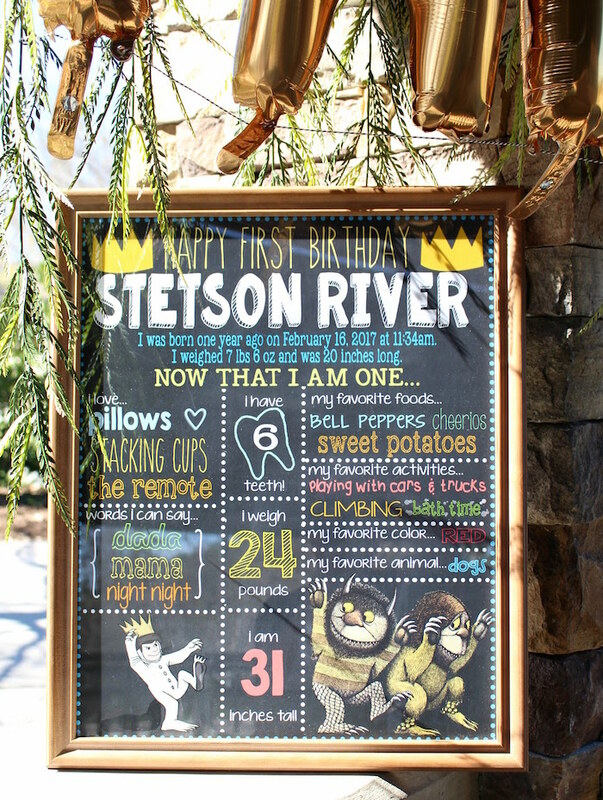 you have an adorable sign perfect to set anywhere for added décor. 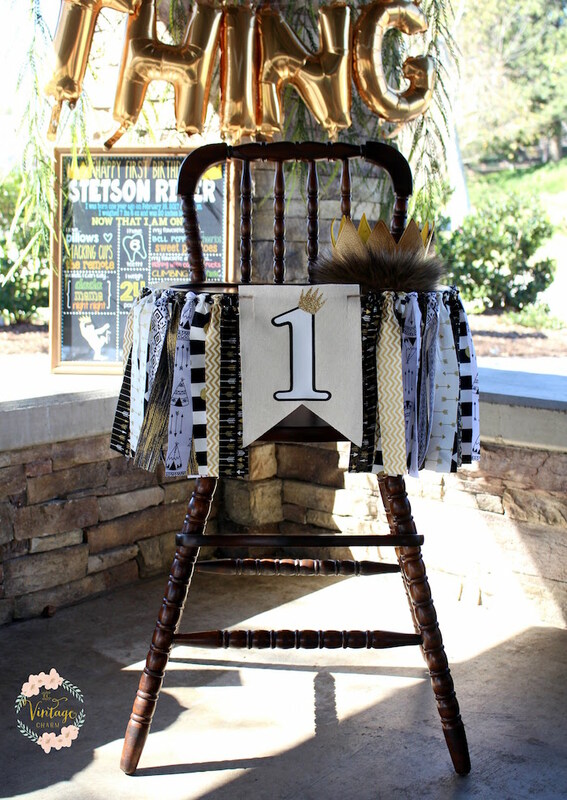 I envisioned neutral colors, pops of green and a little sparkle. 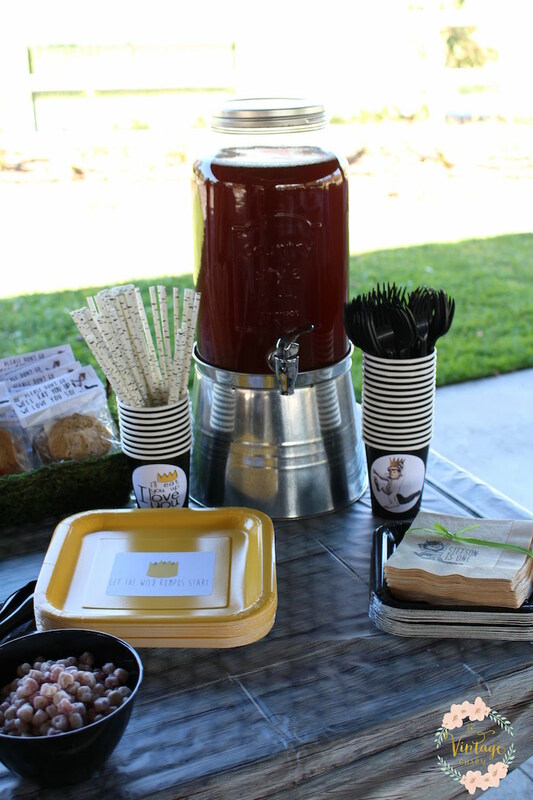 I used wood crates, cake stands, wood slices and a burlap tablecloth for the neutral tones on the dessert table. 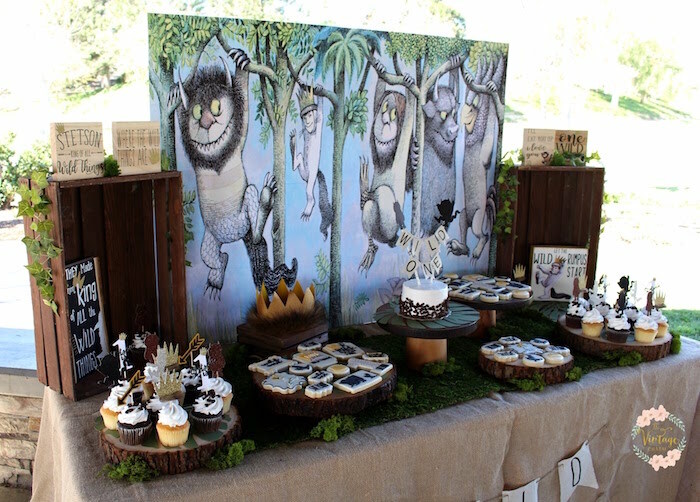 To add some green I added a moss table runner, loose moss, a little ivy and cut out some 10 palm leaves to add to the cake stands and wood slices. 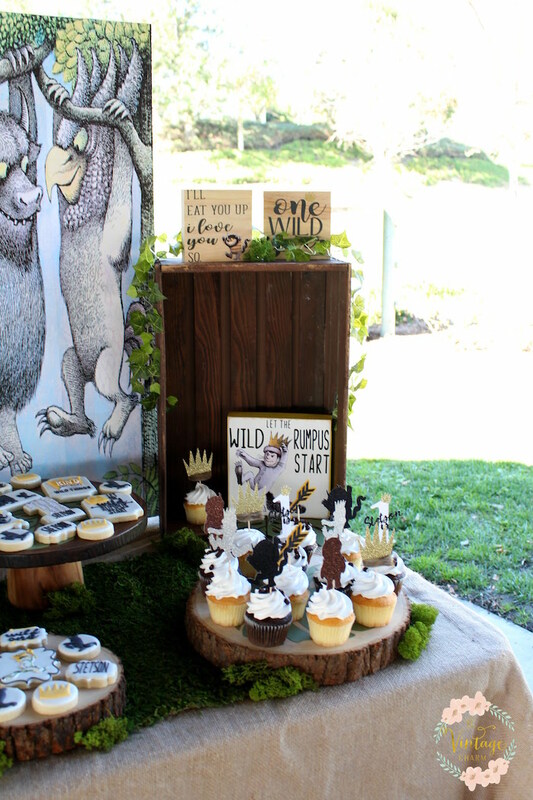 Sparkle was added by the cupcake toppers in various colors, glitter vinyl on décor pieces and the Wild Thing balloons that were tied to a branch with draped leaves coming down.